John Doan’s Tenth Annual Harp Guitar Retreat is set for June 22nd to June 25th 2017. I hope you will be able to make it. (see below for a daily itinerary, Saturday concert, testimonials, photos, fees, and registration information). 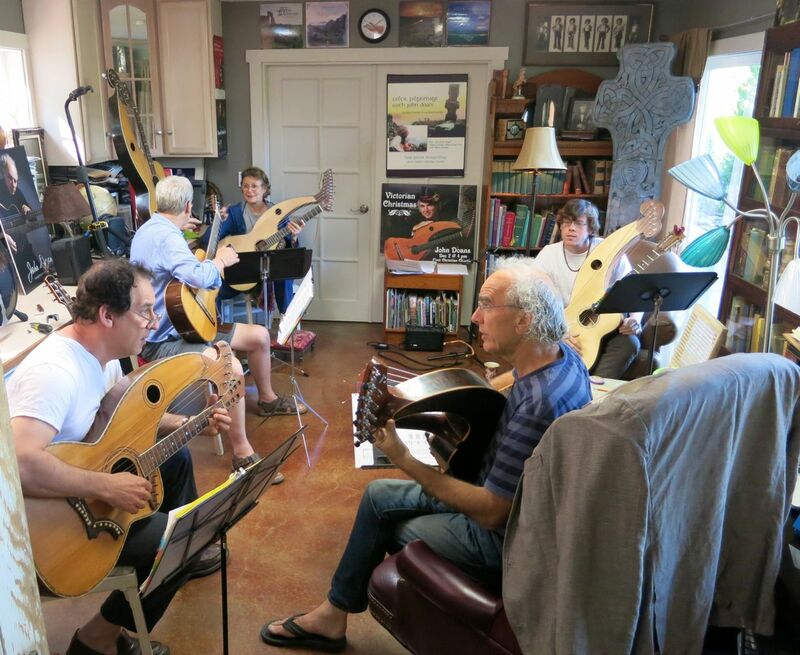 The Ninth Annual Harp Guitar Retreat was a huge success with classes, private lessons, Harp Guitar Gallery, Music Nights, Concerts, and plenty of time hanging out talking about life and, what else, harp guitars! 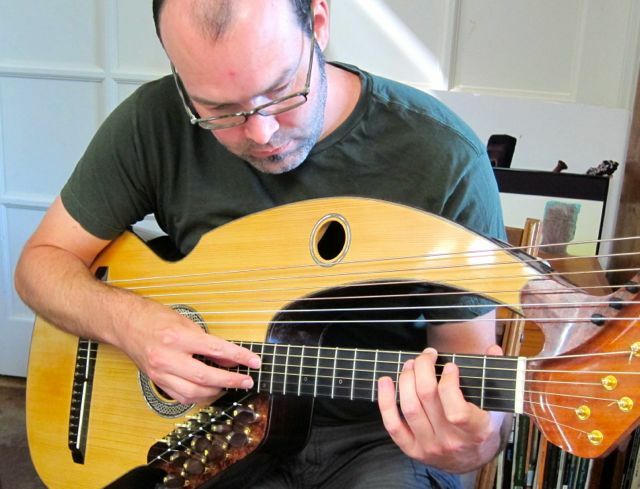 We begin each day with a three hour group class where we are hands on the instrument exploring harp guitar playing techniques, music ideas, and even ensemble playing. We always have a great line up of harp guitars of all sizes and makes, all for you to test drive at your leisure. 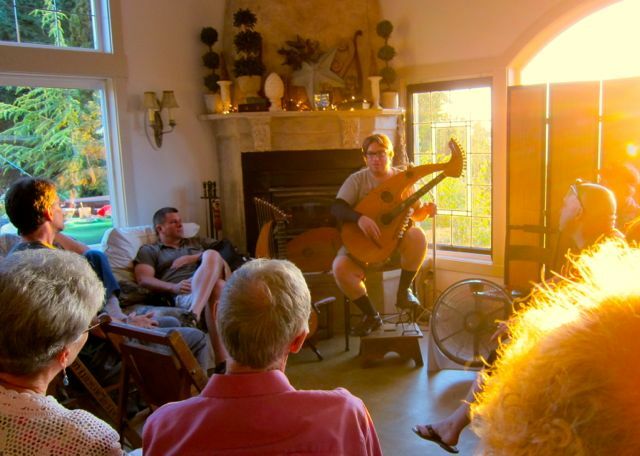 The 7th Annual Harp Guitar Retreat was a great event for all. All the participants made friends quickly starting off with a Thursday night performance for each other. 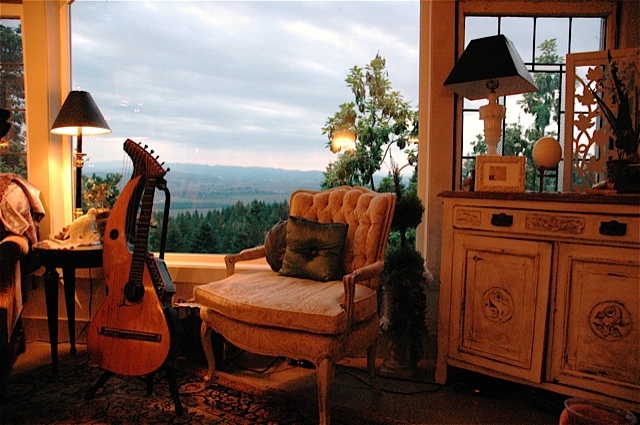 “Catch The Vision” is the theme of The Seventh Annual Harp Guitar Retreat to be held July 10th-13th at the home of John and Deirdra Doan atop Prospect Ridge overlooking the verdant Willamette Valley of Oregon. Hang Time, Instruction, and Lots of Harp Guitars! It is an intimate stress-free environment with all levels of playing/performing encouraged and accepted for an educational seminar limited to five to seven participants. The around the clock seminar not only involves playing the harp guitar but includes plenty of hang time to talk about, well, what else, harp guitar! Attendees are encouraged to arrive by the early evening of July 10th to get settled and acquainted. John has a unique teaching style where students never know what he is going to do or say but the results always seem to inspire and transform the player. The array of harp guitars and other stringed instruments are not to be looked at from behind a security line at a museum. These are to be touched and played by all! Each day will include a private lesson one on one to explore the areas of music making that are important to each student. Every lesson is customized to meet the needs of that individual, at their level. While John pushes students to learn and do more, the student takes the lead, creating a unique educational experience for student and teacher sometimes. An evening concert is scheduled for Saturday night to be up close and personal with the magic of the music and the setting. John’s concerts are an experience of the weaving together of the harp guitar, music and storytelling. Some attendees add to the program with hands on experience in front of a live audience. It’s a great way of testing your performance abilities, and interact with the audience. One evening will be a private concert for only the retreat attendees. This exclusive evening is a chance for the retreat participants to relax and enjoy sharing their beautiful music together. An open night is usually full of surprises. Anything can happen, and has over the years. People bring all types of instruments, sometimes from around the globe. We have a great time exploring the music and talents of all the participants. This is more than a seminar but an opportunity to meet new friends, play a variety of harp guitars, and to become inspired, surrounded by talent of all levels and types. “The retreat was really great for me, and I think you really helped open up some doors in my mind and in my heart. I am feeling very inspired. I’m filled with lots of good ideas and I’ve been feeling like my guitar work is valuable, important. I really appreciated our conversations and your kind words. I really needed a little something to get me moving. I have been living in my own reclusive guitar universe for a long time now. I had some fear in trying to bring my musical imagery to other people, but now I am prepared to really try. “But if I had to choose I would say that it was my being able to sit in on all the “master classes” and learning from all the students! I so enjoyed being “a fly on the wall” during the individual lessons as I heard Sensei John instruct all the players! Everyone was so awesomely friendly, despite my weird South East (Asian) accent! I Thank everyone in attendance for being my friends so quickly. Wonderful sharing, from tons of music sheets from Angele, to experiencing for the first time new Twelve-Tone-thing-a-magic from Nick, to hearing the angelic voice of Mel that morning, to learning about peizo-pickups on the harpie from Jerry and of course, the see a rising star like Mr Bellue! All of you ROCK…oh, I mean, TWANG! Gerry Camp, initially tried to disguise himself so that no one would know that it was he who was secretly desiring to master the 20 string harp guitar. Adrian Bellue also had initially been hiding behind a false mustache and a six string guitar while secretly dreaming what he would do if he ever got his hands on a twenty string harp guitar. 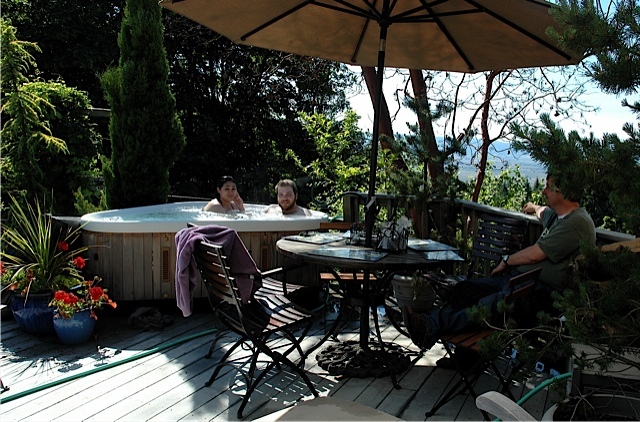 The setting is the incredible backdrop for this memorable retreat – dazzling views, twenty-four hour hot tub, and sunsets to cause one to stop and ponder what life is all about. We just ask that you keep your guitar out of the hot tub, if that is not too much to ask. This event emphasizes instruction and inspiration for those wanting to learn or improve their harp guitar playing skills in a hands-on environment. To read more about past Harp Guitar Retreats see posting else where on this site (6th Annual Harp Guitar Retreat Huge Success in “Featured Posts”). Instruction will address playing harp guitars with sub-basses as well as harp guitars with sub-basses and super-trebles. There will be several harp guitars available to use if you don’t have a harp guitar or would have trouble bringing one to the seminar. There will be private and group lessons, intimate concerts, and lots of kick back and practice time to suit your interests. Instruction: Instruction will include two daily group sessions and a half hour private session. John Doan will perform an evening concert on Friday and Saturday and the participants may perform on Friday and Sunday evening if there is interest. 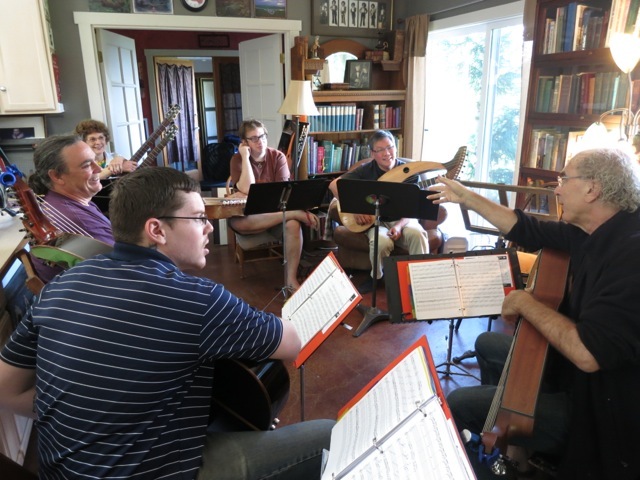 The morning and afternoon private and group sessions will focus on harp guitar fingerboard and string theory, performance issues, music composition, and just having fun. 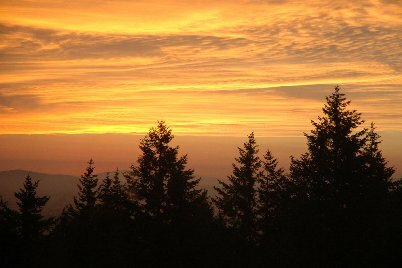 Location: The retreat is at the home of John and Deirdra Doan nestled near the summit of Prospect Ridge in Oregon’s mid-Willamette Valley. The location is simply breathtaking with180 degree westerly views of green rugged forests, sprawling farmlands, and distant coastal mountains which explains why Oregon is a very popular summer vacation destination. The site is approximately one hour from the Portland International Airport with local bus and train service fifteen minutes away in Salem. There is a bus service direct from the airport to downtown Salem where you can be picked up or you can elect to rent a car for greater freedom to explore the area. Included with registration: All lodging and meals are on site and included with registration. Printed materials are provided for each student with a series of exercises and compositions to take home after the retreat. 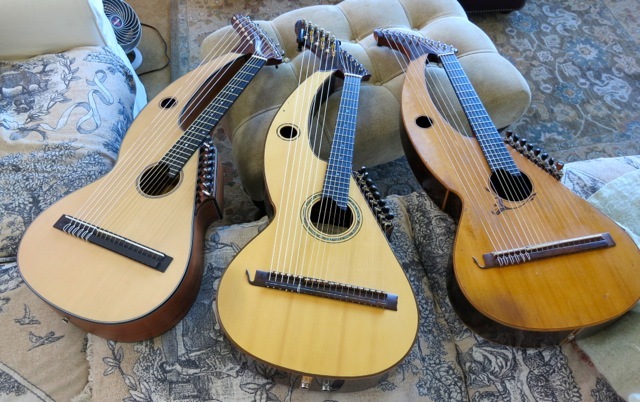 Instruments available on site: There will be seven or more harp guitars on site for your use if you do not have one of your own to bring to the seminar. Incidental Activities: There is plenty of hiking trails, tax free shopping, local wine tasting, on site hot tub, trampoline, and wireless internet. The site is central and about one hour away from the Oregon Coast, the high desert of Bend, and the cities of Portland and Eugene. In between classes and private lessons there will be time to just relax, practice, read, explore the area, or casually visit with other harp guitarists. Space is limited: Retreats are limited from five to seven participants and their guests. Spouses, friends, or family attend at a reduced rate. If needed an additional weekend retreat will be scheduled to accommodate more participants. Participants Fee: $685. Includes four nights stay, three group sessions, three private lessons, meals, evening presentations, and various incidentals. Additional guests Fee: $250. Includes four nights stay, meals, evening presentations, and various incidentals. 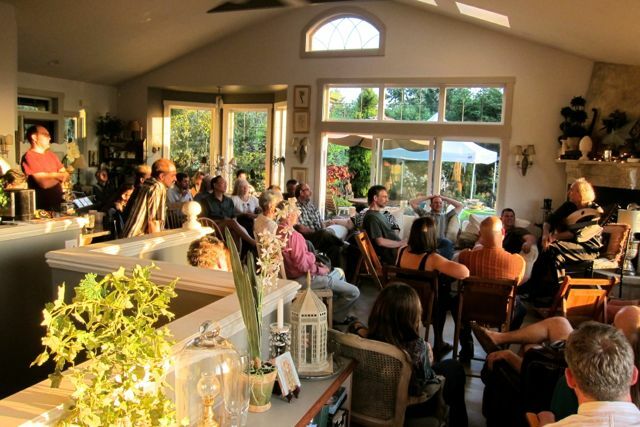 The Sixth Annual Harp Guitar Retreat held at my home in Oregon was a huge success. Not only did we talk about and play harp guitars all day and night but we all became great friends! Holding the Retreat atop of an extinct volcanic plug seemed to encourage harp guitar music to erupt from every room along with great conversations at outdoor meals. 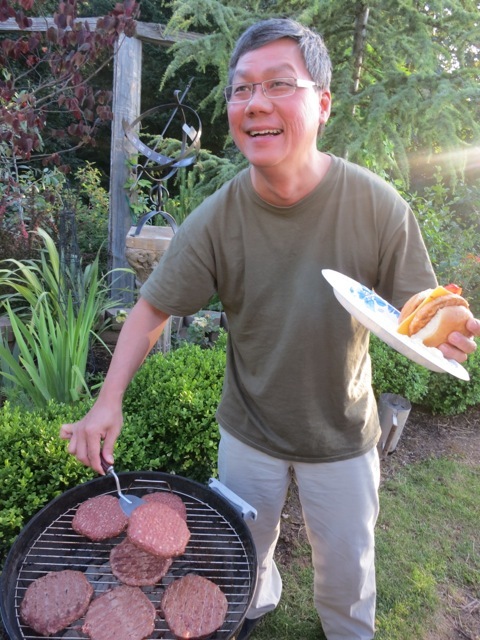 Evening Barbecues were great fun outdoors and provided a perfect opportunity to talk more about harp guitars. Joshua Tan won the award for coming the furthest distance (8,148.6 miles) as he flew all the way from Malaysia for the Harp Guitar Retreat. Where he comes from a cool day is 90 degrees Fahrenheit (32 celsius). It may have been a new experience to actually place coals in the barbecue to cook the food. John Doan will be presenting a Master Class for guitar and harp guitar in Moscow as part of his Concert Tour in Europe 2012. It will be followed by a May 23 concert at the Moscow Guitar Club. For information about the Master Class and Moscow Guitar Club concert, please email Жилин Андрей. 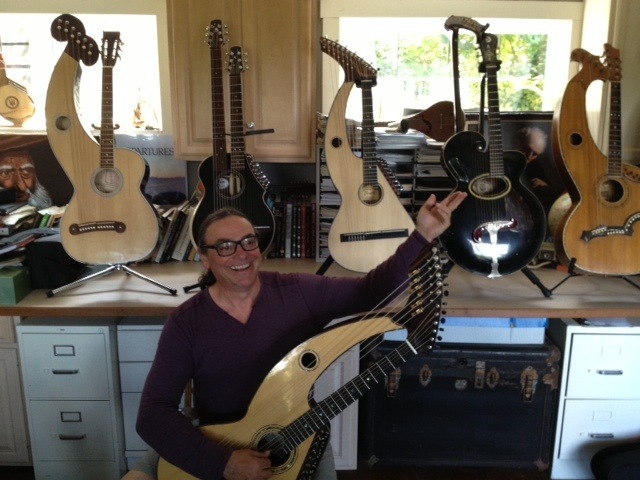 The 5th Annual Harp Guitar Retreat is set for July 6-8, 2012, in my home in Salem, Oregon. 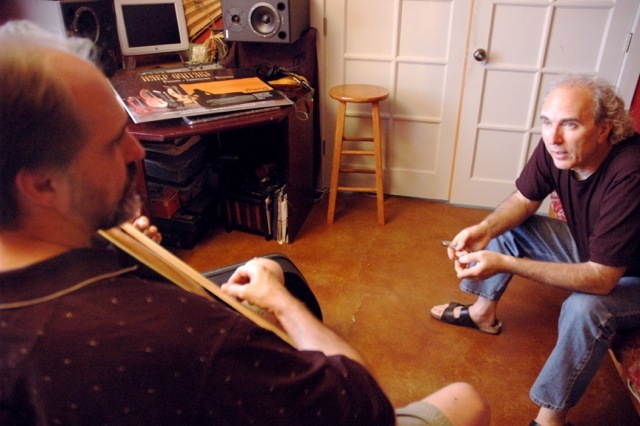 If you are not familiar with the Harp Guitar Retreat, it is an intimate and stress-free environment where harp guitar aficionados gather for a weekend retreat for harp guitar all the way all the time. The weekend includes instruction and inspiration on harp guitar playing skills. I’m available to the students throughout the entire weekend to work with them privately or in groups on the art of the harp guitar. 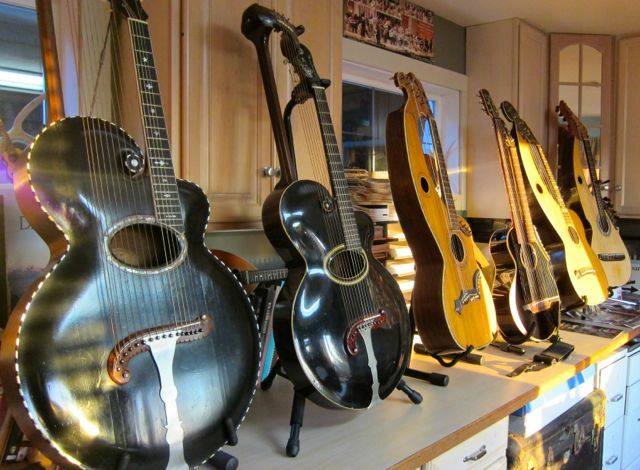 Instruments are available on site for practice and experimenting with the different types of harp guitars. We keep the educational seminar limited to five to seven participants for in depth study and exploration of the guitar. The schedule includes two daily group sessions and a half hour private session, an evening concert on Friday and Saturday, with an optional participant concert Sunday night. Fees include meals, lodging, private and group sessions, and concerts. Spouses and guests are also welcome to join us, and there are many things for them to do as well as you including hiking, tax free shopping, local wine tasting, hot tub, trampoline, and wireless Internet. It’s a lovely part of the state and there is so much to see and do, or you can just enjoy the beautiful mountain top view of the area and relax reading or napping in the garden. Includes four nights stay, three private sessions, six group sessions, meals, evening -presentations, and various incidentals. Includes four nights stay, meals, evening presentations, and various incidentals. Notes: The Concert begins at 8:00PM but you are invited to join us for a pot luck at 6:30PM. To order tickets go copy and paste into your browser: https://www.paypal.com/cgi-bin/webscr?cmd=_s-xclick&hosted_button_id=SPTF6WU8GVYQ4 Once you have secured your admission I will confirm that and send you my address and directions to the event. RSVP if you will be coming to the potluck. 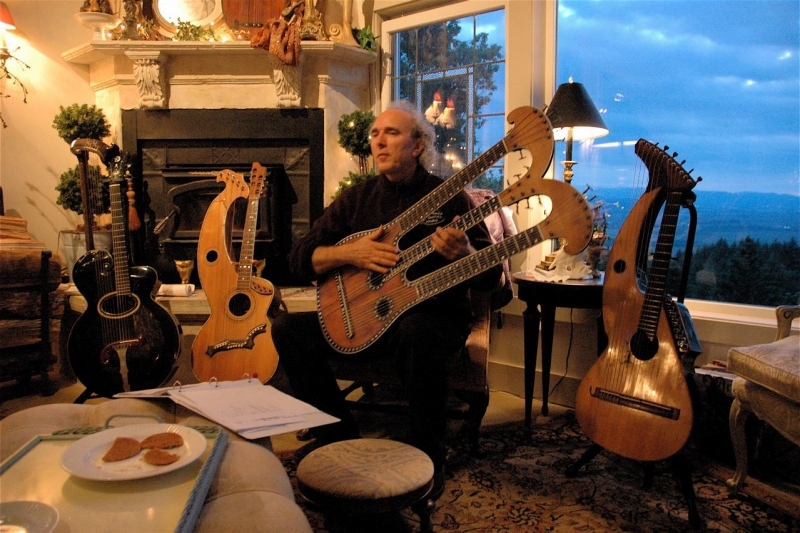 The Harp Guitar Retreat for 2010 was a resounding success. Here are some photographs of the participants exploring the world of the harp guitar. 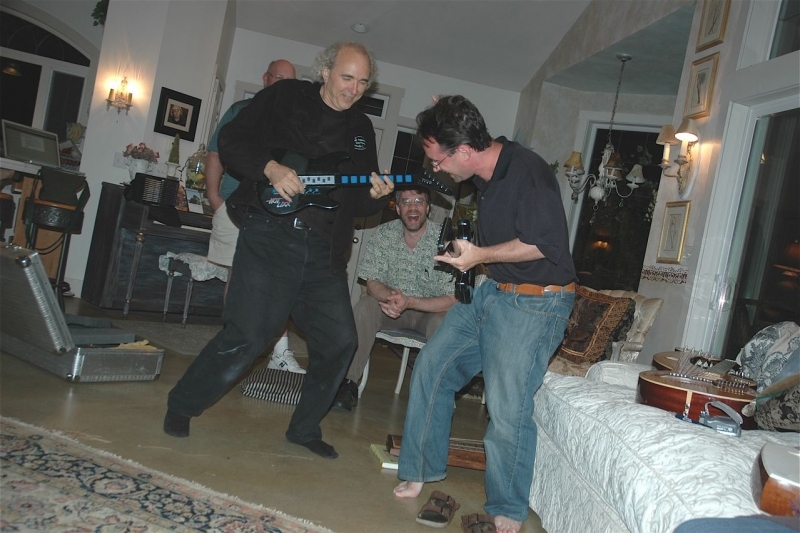 The Harp Guitar Retreat in 2009 was a success. Participants came from all over the USA to study the harp guitar. 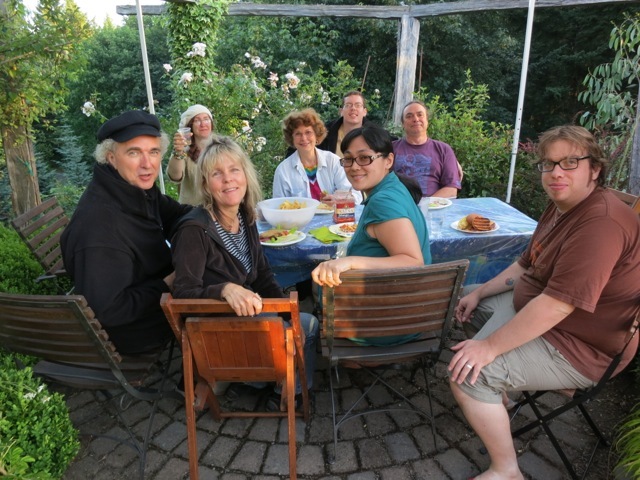 Here are some favorite photographs of the harp guitar retreat.